New reports are claiming that Whitney Houston visited a doctor three times in the eight day period before she was found dead in a bath tub at the Beverly Hilton Hotel. According to Star magazine and Radar claim that Whitney Houston, who passed away aged 48, saw a Beverly Hills doctor on February 2, 7 and 8. This was a day before Whitney Houston was photographed in public for the last time, looking sweaty and disheveled as she emerged from a Hollywood night club. 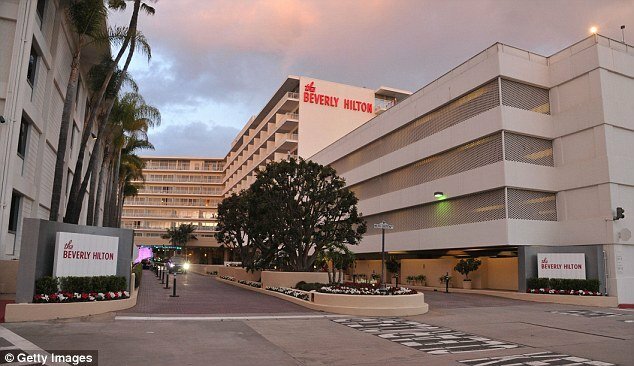 Whitney Houston then made a visit to a Beverly Hills medical building on February 10, about 48 hours before her death. The visit, to a throat doctor, was witnessed by X Factor winner Melanie Amaro, who bumped into the idol. “I was at the doctor’s office and she was there,” Melanie Amaro told CNN last week. It’s not known if it was the same physician or whether any drugs were prescribed at each of the appointments, if anything. It has already been reported by Radar that the Los Angeles County coroner’s office has issued subpoenas for medical and pharmacy records from Whitney Houston’s doctors and medical providers. Los Angeles County assistant chief coroner Ed Winter said that Whitney Houston’s medical records could shed additional light on why she died and whether she had any serious medical conditions. “We’ve already contacted a number of doctors with requests for records,” Ed Winter told Radar yesterday. It is also being reported today that Whitney Houston failed a routine medical check two weeks before she was found dead. Star Magazine are alleging that Whitney Houston had sought a facelift to be performed by a Beverly Hills surgeon. But Dr. Marc Mani, a board certified plastic surgeon, is alleged to have refused to perform the procedure on Whitney Houston after she didn’t pass the medical clearance exam that tests a patient’s heart, lung and liver, according to a source. “She was concerned about her appearance and wanted a facelift,” the insider said. Dr. Marc Mani refused to confirm to Radar Online whether Whitney Houston had attended his clinic, citing federal medical privacy laws. Radar Online claims that preliminary results have revealed sedatives were found in Whitney Houston’s system. Speculation has grown over Whitney Houston’s cause of death, which has yet to be determined pending the outcome of toxicology tests that could take up to six weeks.